Mumbai 5.30 pm rainfall updated below..night forecast holds good. Its all happening in a hurry. The vortex rushed up the coast and the axis slide down to almost central India. Normally this would have taken place by Tuesday. Monday 27th: Cool day not going over 26/27c. Intermittent heavy rains in the day, with potential floodings in low areas. Rains should decrease in intensity by late noon. commuting and mobility will be better and easier by evening. Night will get a few showers again.Rain Amount till 5.30 pm 75-90 mms and another 25 mms by 8.30 am Tuesday (Average). Actual Rain 8.30am-5.30pm (Monday) Colaba 66 mms, Vagaries 55 mms, Scruz 45 mms.Alibag measured 78 mms. Tuesday 28th: As the vortex lingers, the rainfall will be less on Tuesday. Heavy showers though will break in occasionally, but not prolonged to cause flooding. Lessening even further today. Rain Amount: 30-40 mms (Average). Wednesday 29th: Cloudy with 3/4 showers. Definite decrease in intensity, but still will manage 25-30 mms(average). 1. Monsoon Axis slides South, almost running thru 25N line across India. 2. 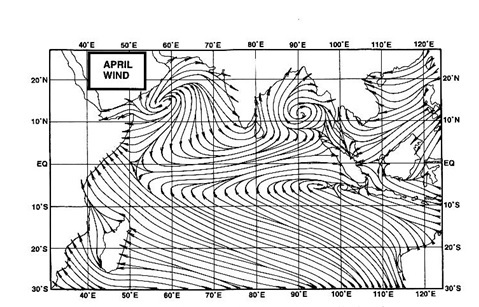 The vortex in the West coast trough moves north and is off Goa Coast. Sliding up along the Karnataka coast last 24 hrs precipitating good rains. 3. Vortex at -30 depth. Forecast was estimated by vagaries over region by Tuesday originally. 4. Boosting of trough and axis line rains possible with strengthening MJO in our region and "Tembin" pulse should bring in the next Low as mentioned. 5. Good precipitation expected along Konkan. Initially restricted upto Konkan, not advancing into Gujarat today. Mumbai Scruz saw overnight rains of 36 mms and Colaba 28 mms. Thane 44 mms and Panvel 38 mms. Low temp was 24.2c at Colaba, a welcome relief after sweltering hot nights. Pressure drops to 1005 hpa in the morning reading. Monday will see intermittent showers, heavy and flooding low areas. Rain amount next 9 hrs: 55-75 mms. Sir what is the forecast for Delhi/NCR for this week? very heavy rain in panvel since 9:00 am,the spell was continuos,,but th erain intensity has tapered now ,,,thw waterfall at valvale hill near my house wich almost dried up is flowing with rigorous flow!!! !happy to see the monssonish conditions back wich had dissapered sum days back!!! heavy spells have started again,,,its very overcast and dark here!!! !i guess we will notch up more than 10 cm today!!! Here Badlapur having continuous light to medium rains. But very heavy rain between 11am to 12pm period. 30mm recorded in that 1hr period. Overall rain today from 8.30am to 1.30pm is 60mm here. Once again this season central mumbai got more rain than suburbs.Dadar got 65mm in last 6 hours as per MCGM site. Places like malad only got 25mm in last 6 hrs. Raining in south bangalore. Typical SWM rain. Dark clouds gushing in from west. very heavy spell has started since half nd hour ,,nd this spell is very heavy ...visibility is almost zero!!! !first tymm in thi sseason such spectacular rain rate i observed at panvel!!! Badlapur records 75 mms till 4.30pm Monday. Rajesh sir:- i had to ask,what makes monsoon axis go north & south? ?What factors determine the movement of axis?? Badlapur records 83mms from 8.30am till 5.30pm today. @ Rajesh sir.Latest satellite image showing west coast offshore tilting towards west that is away from Mumbai coast ! So whether UAC forming now off Mumbai coast in deep arabian sea ? So whether above reason responsible for Rain not approaching towards Pune ! And I think now next burst of heavy rains around Mumbai belt will resume from late night..
Raining very heavily in Andheri West since the last 1.5 hrs., right now the sky is very overcast with heavy rain. Looks like the rain will continue for some time. Do you check doppler weather radar products on GIS available on imd website. It is giving fairly good idea about types of clouds whether stratus or convective. Couple of spells of heavy rain today in Ghaziabad till now. Badlapur records exact 100mms rain in past 12hrs. (i.e from 8.30am till 8.30pm today). TO ACHEIVE BY 30TH SEPTEMBER..
TOP FIVE SUBDIVISIONS THIS WEEK..
BOTTOM FIVE SUBDVISIONS THIS WEEK.. NOTE: Data of Madhya Maharashta has been excluded from the analysis this week as IMD is showing negative (!!) rainfall of 16 mm. Total of 392.5mm on the 19th August has come down to 376.5 this 26th August!! Can someone shed some light on the above discrepancy (negative rainfall of 16mm!!) in the data of Madhya Maharashtra on the IMD website.. Pradeep? Rajesh sir? anyone? It seems vortex over Karnataka/Kerala was in a hurry to catch a flight, went up just like a snake would raise its head up with snake charmers rythm.By the way I wish it would have moved interior Karnataka. Seema Vidharbha,MP,east Rajisthan are having bounty days. Just happened to see hindbusinessline, some korean models suggests excess rains over Gujarat and very less rains for TN. This is quite disturbing- SWM should have withdrawn, and NEM should have commenced by Oct - this freak incident can happen unless cyclone in month of Nov over Arabian sea. There is NOTHING WRONG, When delayed rainfall data is updated this happens. As per area weighted average calculation method only district NORMAL is considered. NOT station normal. Suppose say a district contains 10 raingauge stations. If all the 10 RG stations are reporting rainfall then all 10 rainfall will be added and divided by 10. That is district average and will be multiplied by district area. Suppose only one station is reporting rainfall other 9 is NOT reporting, then the one station rainfall [how huge or small it may be]will be considered as district average. Hence when late data are updated there is every possibility that there is change in the figure. this is promptly declared in the site. Non stop extreme rains over Navi Mumbai. I don't think sset's concern is any lack of rain (which is again only visible to him) over the years in Karnataka or AP or TN. Clearly, his concern is why Maharashtra, Gujarat and Rajasthan receive any rain at all. There is a phrase for it - Crab mentality. SSET: Good to have you back.